Who didn’t already read the beginning of this guide, should begin with the first page of the Intel Unlock Overclock article. Let us begin with the third and last Intel Unlock Overclock phase. 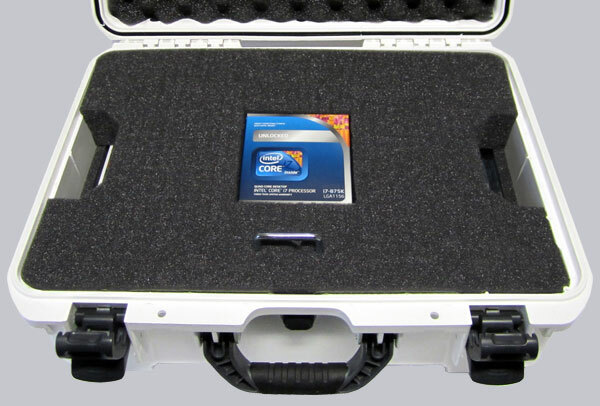 In this Intel Unlock Overclock Phase3 guide we will show the secret of the Intel suitcase. 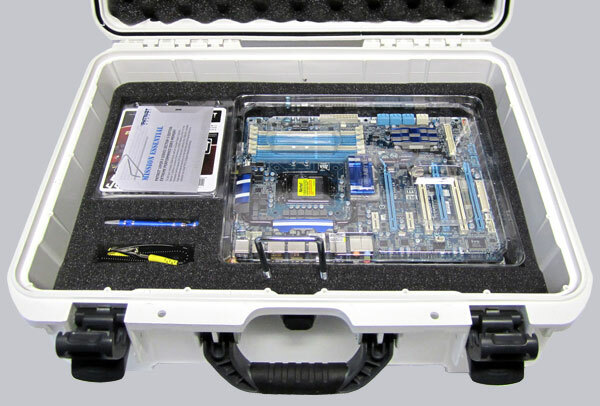 The suitcase contains some hardware and an Unlocked Intel Core i7-875K processor, which is in this guide used to build a High-End Overclocking PC and of course we overclocked it. But that is not all, because one visitor can win an Intel suitcase at the end of the article – with content! 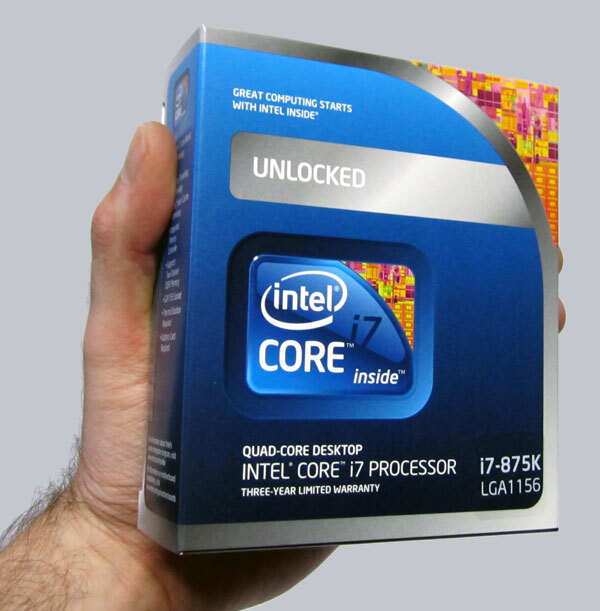 Enjoy this special Intel Unlock Overclock guide with a certain secret agent feeling and much luck with the contest. So we take the new “Phase 3 of 3” instructions out of the suitcase and take a detailed look at all contents of the mysterious suitcase from the company Intel. In the first foam material layer is contained a brand-new Intel Core i7-875K processor, which has an unlocked multiplier. So not only the suitcase is unlocked, but also the processor. After more than 10 endless long years the company Intel offers us a payable (!) processor for Desktop PCs, which can be overclocked with an unlocked multiplier. Again an Intel processor in ocinside hands, which can be overclocked without detours to the maximum speed. 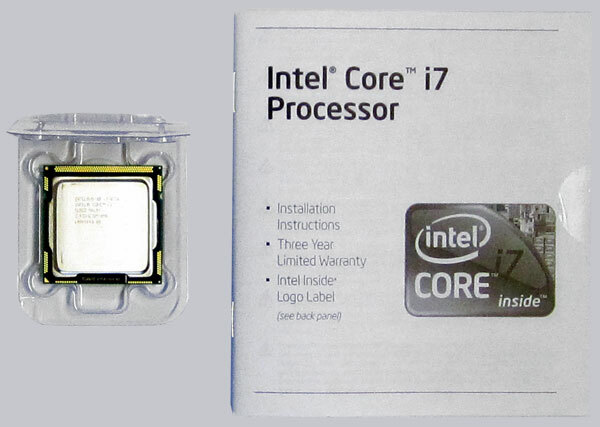 Here is a first picture of the small LGA1156 Core i7 processor. But that is by far not all, with which Intel equipped this nice suitcase, because under the first foam material layer is more hardware. 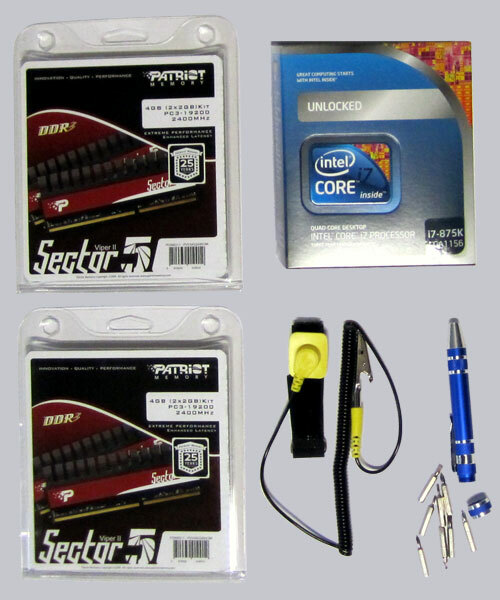 Contained are two Patriot Sector 5 Viper II 4GB DDR3-2400/PC3-19200 PVV34G2400C9K memory kits, so altogether 8GB memory. Additionally an anti-statics wristband and a screwdriver set is contained. 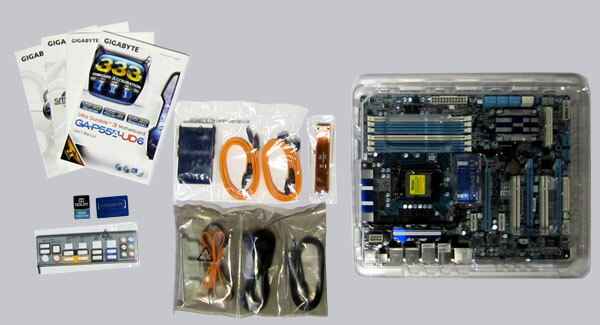 Now we take a few more components and build a fast PC system.